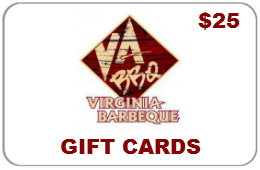 ".the Virginia barbecue practically melted in my mouth. With a side of coleslaw or without, this Ashland restaurant was my favorite." "I rarely choose beef barbeque, but the barbeque we tasted from Virginia Barbeque on England Street in Ashland was the best beef I've ever had. The North Carolina pork, however, turned out to be my over all favorite."